Reflecting back on 2006 as it is drawing to a close, I have to say that it's been a great year! In the food department, it has also been terrific. We enjoyed fresh caught salmon from BC’s rivers, prepared in many ways, including homemade gravlax. We feasted in the Okanagan on local cheeses and cherries, plums and peaches picked right from the tree. Three weddings rounded out our fall and our quota for fine dining, and now we’re smack in the middle of holidays with tomorrow promising to be an afternoon of eating our way around downtown as we visit all our favorite spots. 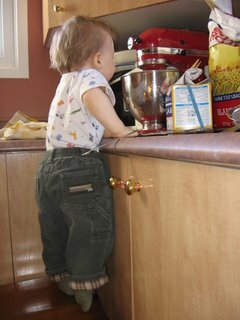 Of course, one of the highlights of the year was jumping into the blogosphere with both feet and cooking up Under the High Chair. It’s been so much fun and I am just getting started. I have so many ideas for the future of this blog, it just a matter of finding the time and beefing up on my computer nerd skills. I have to thank the very special someone in the photo above for all the love, encouragement, and the kick in the pants to start UtHC. Thanks, Danny, for your highly skilled technical support; for your gift of more camera equipment; for encouraging shopping sprees at Ares Cuisine; and for being such a loyal fan of my cooking! I love you. Also, to all of YOU, my friends from Hungary to Hawaii, Guatemala to Georgia; thanks for reading!! 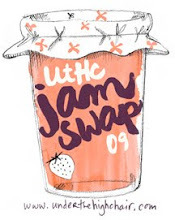 If I have inspired, entertained, or uplifted one person, I have succeeded with UtHC. Stay tuned and keep reading! Here's to many more adventures in the culinary world in 2007!! I hope everyone's Christmas was extra special and full of good times with friends and family! I'm exhausted, but content, and feel blessed to have such a sweet little family and a caring extended family. Thanks, Wimbushes, for all the calls, presents, and well wishes. Wish we could have been together. Next year! 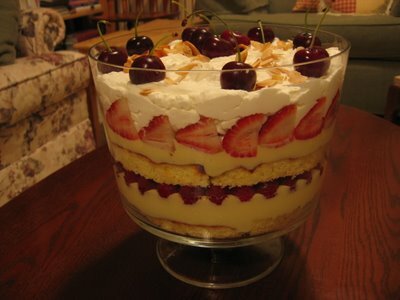 Lots and lots of great food was enjoyed and pictured here is a trifle I made on Christmas day. My Grandma Edith from England would have been proud. Sherry soaked sponge cake, custard, raspberries, strawberries and cream. Mmm, it was even better on the second day! Being half British and half Ukrainian, I never inherited such a recipe, but give me a bag of potatoes and some flour and I can whip up a mean batch of perogies. 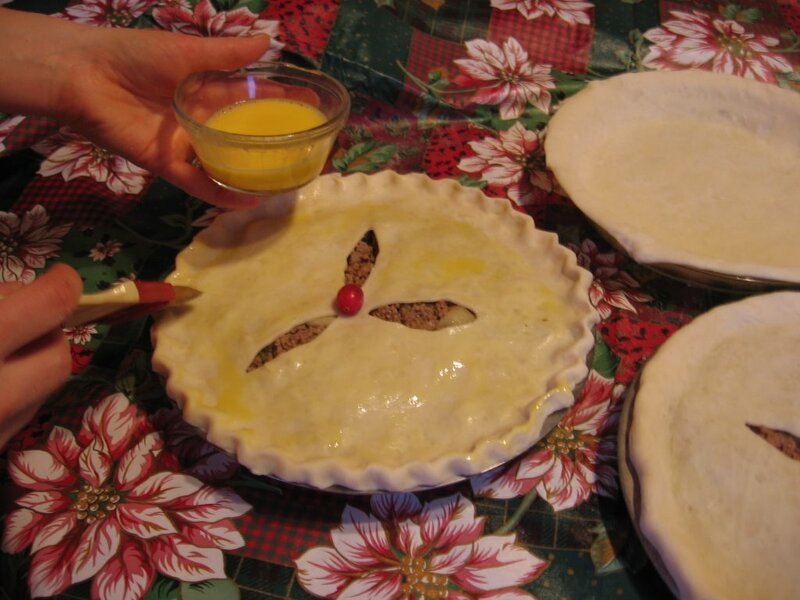 In all my past Christmases, I have either relied on the skills of others, or nipped over to my local marché that carries amazing beef, pork, chicken, duck, or elk tourtiere, because it’s just not possible to have a Joyeux Noel without tourtiere. I chose a traditional mix of meats-veal, pork and beef- and added a few of my own favorites that I thought would complement the meat: apples, bacon, Dijon and the freshest blend of spices I could get my hands on. The result was pretty fabulous, not bad for a first time! Although I'm not 100% sure that this is THE recipe and I'd like to keep playing around a bit more in upcoming years, this one will definitely tide us over for these holidays! We enjoyed it with a robust Les Cranilles cotes-du-rhone, Les Vines de Vienne 2004 and that about put us over the moon.. I hope you enjoy it too, and please, hold the ketchup, ok? In a spice grinder, grind cloves, peppercorn, cinnamon and allspice until fine. Reserve. In a large, heavy duty pot, melt the duck fat and brown all the meat, separating it into pea-sized chunks with a wooden spoon as it cooks. Strain into a colander and let the fat drain out while you return the pot to the stove. Add bacon and sauté lightly; add onions and celery; sauté until wilted. Return the browned meat to this mixture and to this add the ground spice mixture, the bay leaves and the beef stock. Mix well and cook on medium low heat until liquid is reduced by half; stir often. In a mixing bowl combine apples and flour until apples are well coated. Add Dijon mustard and mix well. 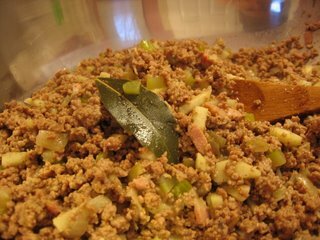 Remove meat mixture from heat and add apples; stir to combine. Liquid should be all absorbed. Season with salt and cool. 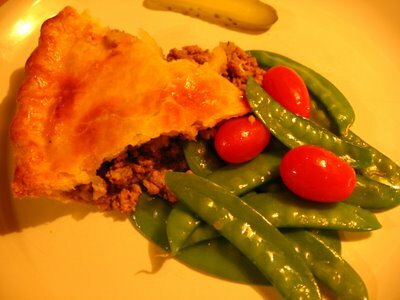 Roll out tourtiere dough and fill pie shells with tourtiere filling. Top with another pie dough and seal edges. 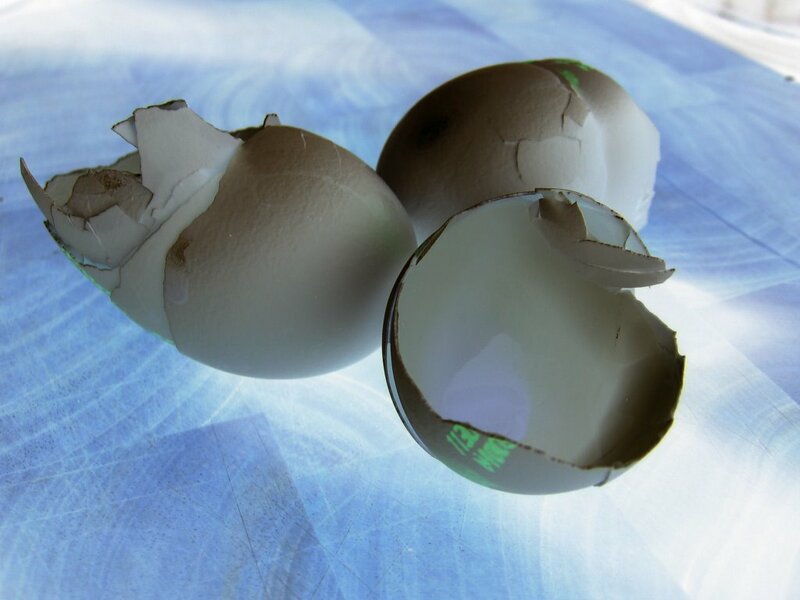 Cut a few slits or a design in the top to allow hot air to escape and brush with beaten egg. Bake at 375F until crust is nicely browned. These freeze well, either before or after baking. 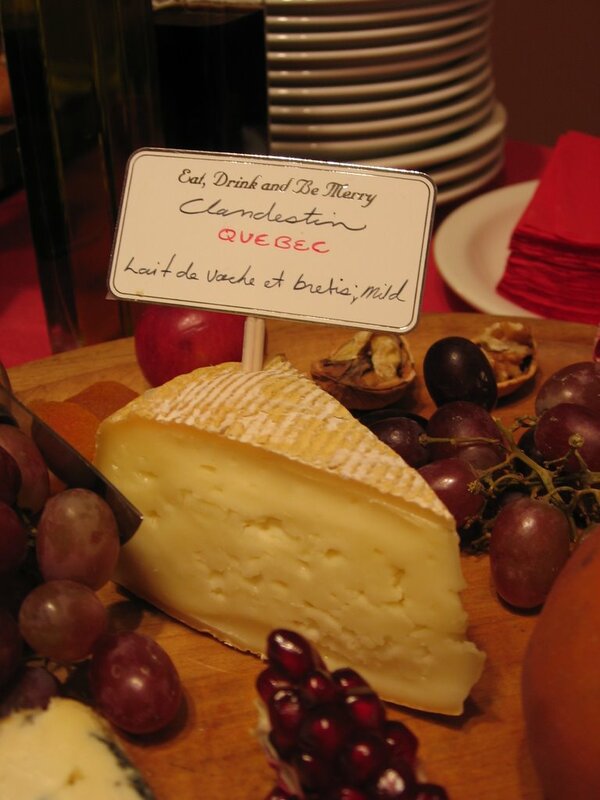 Labels: Holiday, Quebec Cuisine, What's For Dinner? 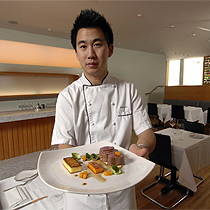 Here's my buddy, Angus An, who recently opened his own restaurant in Vancouver and is getting rave reviews. I feel so proud!! Angus worked under me for a brief period at Toque!-I still remember his first day-then moved on to another station and eventually became the saucier. We had some great times together, went through a lot of crap and managed to keep in touch over the last few years. Now look at where he has gone! Angus, hat's off to you. I wish you all the best!!! I can't wait to come eat. If anyone's reading from the Vancover area, go eat at this restaurant. 1938 West Fourth Ave., 604-730-5579. Open Tuesday to Sunday, 5:30 to 11p.m. Will open for lunch in late January. 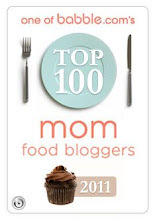 I have to say, I rarely use the internet and food websites for recipes. There is so much chaff out there, it takes forever to find the wheat. I'll read food news, browse food forums, look at pictures, and loose myself in the foodie blogosphere, but almost never go looking for recipes, unless I have something wierd like a geoduck to cook. Mix all together. Put in 9x13 casserole and bake in 350 degree oven for 45 minutes or longer, until Tator Tots are browned. BLECH! That was enough to turn me off for a good long time. I prefer to work from my own experience or experiment; however, I recently came across a baking site with such pretty pictures and so easy to navigate that I had to stay and surf. 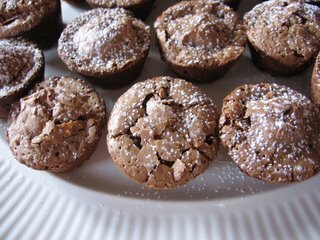 What I found was a thorough and helpful site, with actually original recipes. I couldn't wait to try them! I'm sure you'll enjoy their 'Comfort Food' and ' English Tea' sections, and did I mention there is a whole department dedicated to Christmas baking? I 'm sure you'll find some inspiration there. 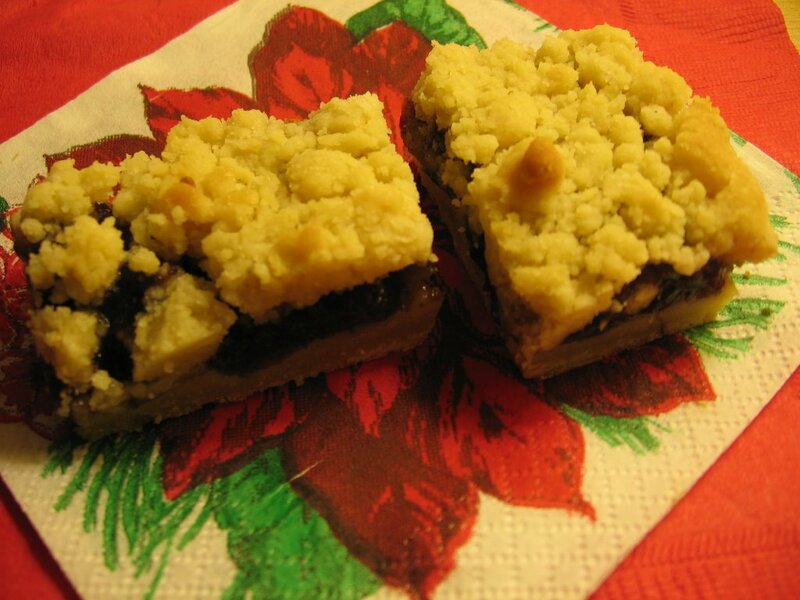 Check out their recipe for Mincemeat Shortbread Bars. Sensational! 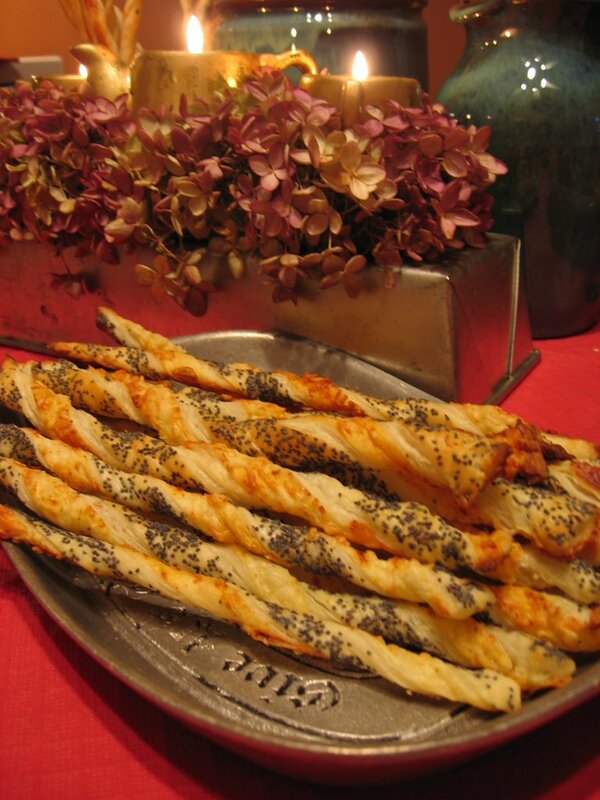 My version is pictured above, but their picture is literally saliva inducing. P.S. In case you were wondering, this is a picture of a geoduck, and yes, I have cooked and eaten this giant clam. Let's just say that in the professionl kitchen it goes by another name. 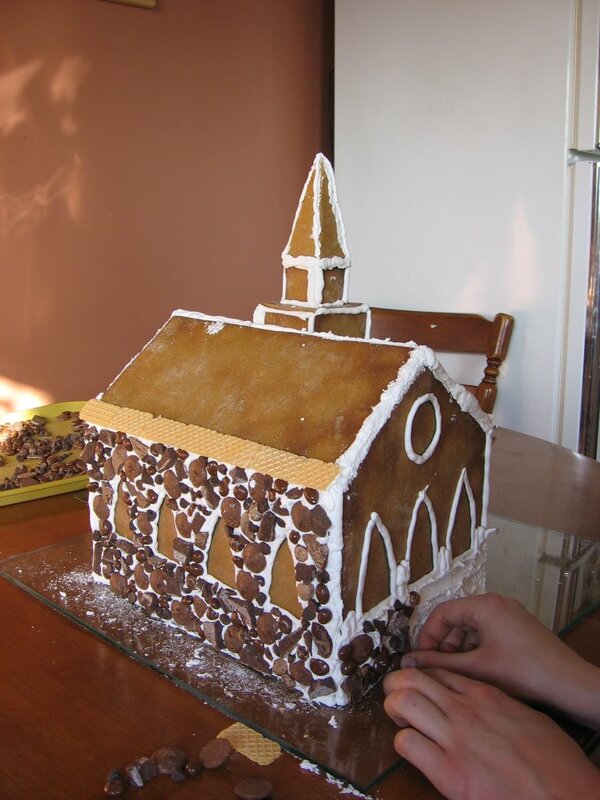 Our gingerbread church is finished in plenty of time for Christmas!
" I feel like I'm on holidays already!" He still has another week of work, but I guess we're just starting the festivities early. Yay! 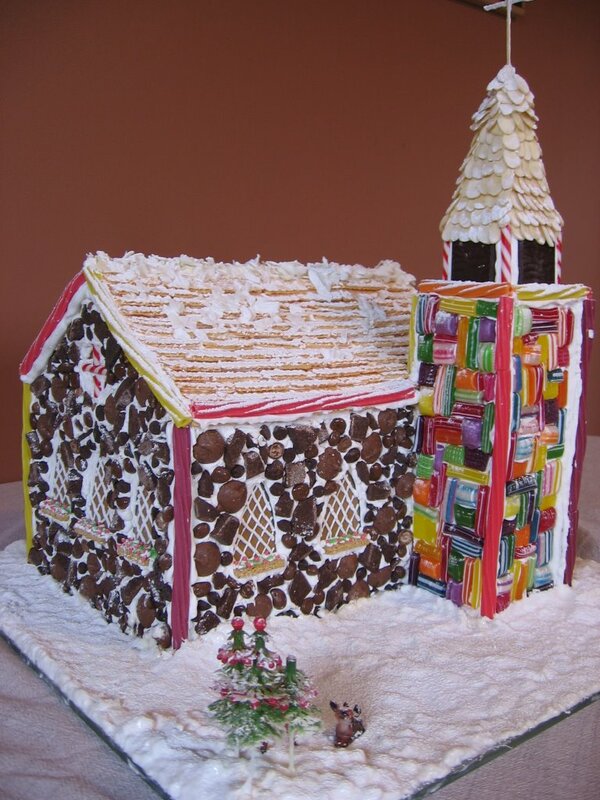 With this candy-laden church looking down on us from it's perch on top of the fridge, it's easy to remember that we are about to have a very merry little Christmas. Chocolate covered coffee beans and raisins are among the various candies used for the church brickwork. 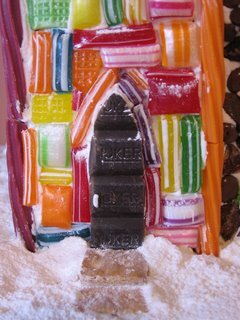 Colored licorice edges the church and lots of icing holds everything in place. Marshmallows were microwaved until pliable and them pressed around the house to create packed snow. Everything was then dusted with plenty of icing sugar. 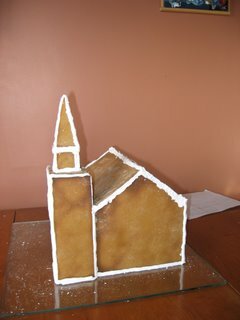 Back and side view of the church. Shaved coconut acts as chunks of frozen snow on the roof. 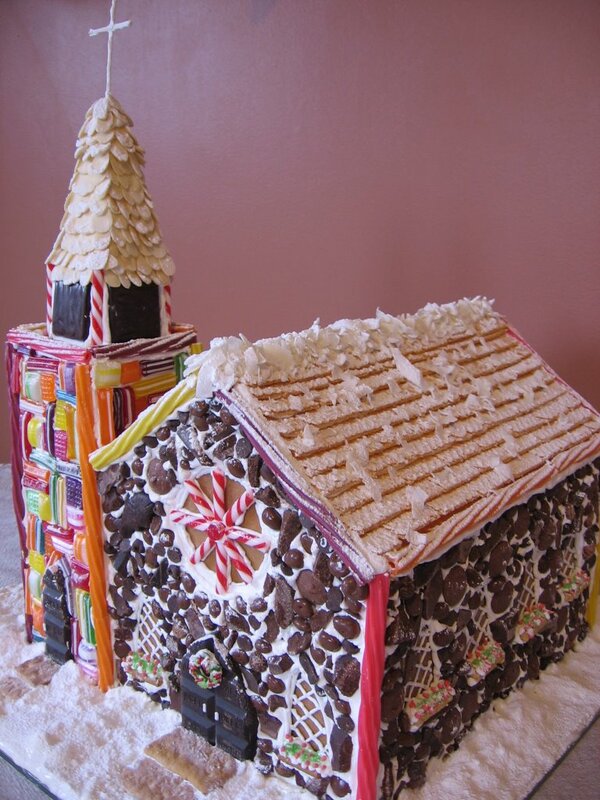 Vanilla wafer cookies shingle the roof quite nicely. 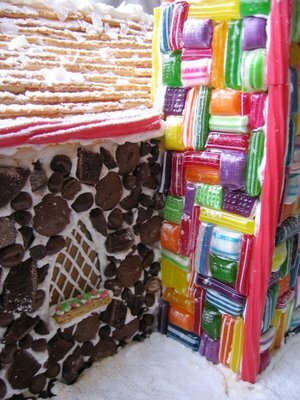 Colorful candies crust the entire tower, making it especially appealing to the children. Solid chocolate front door to the tower and graham cracker steps. 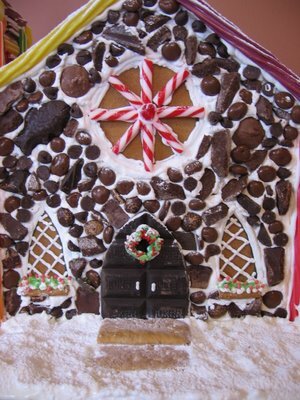 The front doors to the church are carved from a solid bar of chocolate and a mini green licorice wreath decorates them. The graham cracker steps are freshly swept from the last snowfall. Graham crackers make up the window boxes. In large saucepan, melt shortening on stove over low heat. While shortening is melting, in a separate bowl stir together flour, salt and spices (if using for cookies, add 1 tsp. baking soda). When shortening is half melted, remove from heat and continue to stir until completely melted. Add sugar, molasses and beaten eggs. Mix well and quickly (to prevent eggs from cooking). Add molasses mixture to flour mixture. Mix well. Dough will be soft. Cover and refrigerate until firm enough to handle. When dough is firm enough to handle, remove from refrigerator and let sit until room temperature (about an hour). Preheat oven to 350 degrees. To prevent aluminum foil from slipping, wipe counter with wet sponge then smooth aluminum foil over damp counter. This will prevent the foil from slipping while dough is being rolled out. Working with a small handful of dough (about the size of a baseball), roll dough onto aluminum foil that has been sprinkled with flour. 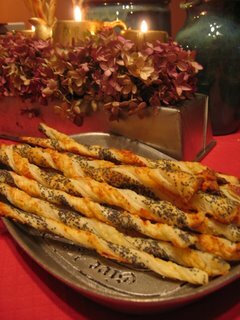 Sprinkle dough with flour to prevent dough from sticking to rolling-pin. IF DOUGH IS TOO STIFF, MICROWAVE FOR 10-15 SECONDS TO SOFTEN THE DOUGH. Roll dough to about 1/8” thickness. Place gingerbread house pattern pieces onto dough and cut-out dough pieces (don't forget to cut out windows). A pizza cutter works great for cutting out walls and roof sections. Remove excess dough pieces. Lift entire piece of foil and place on large cookie sheet. Place cookie sheet in oven. Check frequently to prevent burning. Bake until golden brown. 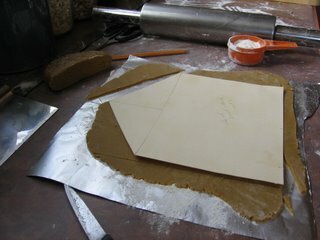 Large pieces may bake as long as 14 minutes. Smaller pieces might take 6 – 7 minutes. Unused dough may be wrapped in plastic and refrigerated for up to 2 weeks (bring to room temperature and knead briefly to use again). 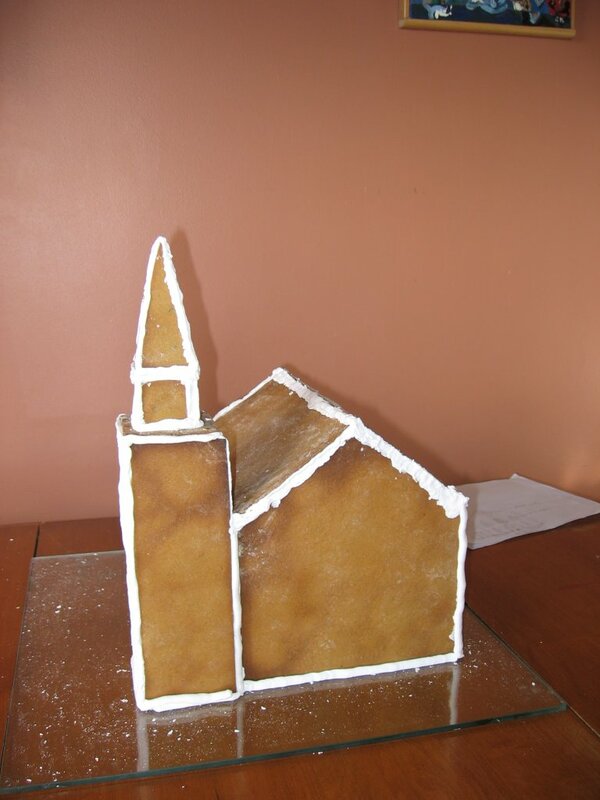 To prevent from sagging, I bake my roof sections until dark brown, almost burnt. When dough pieces are done baking, remove baking sheet from oven. 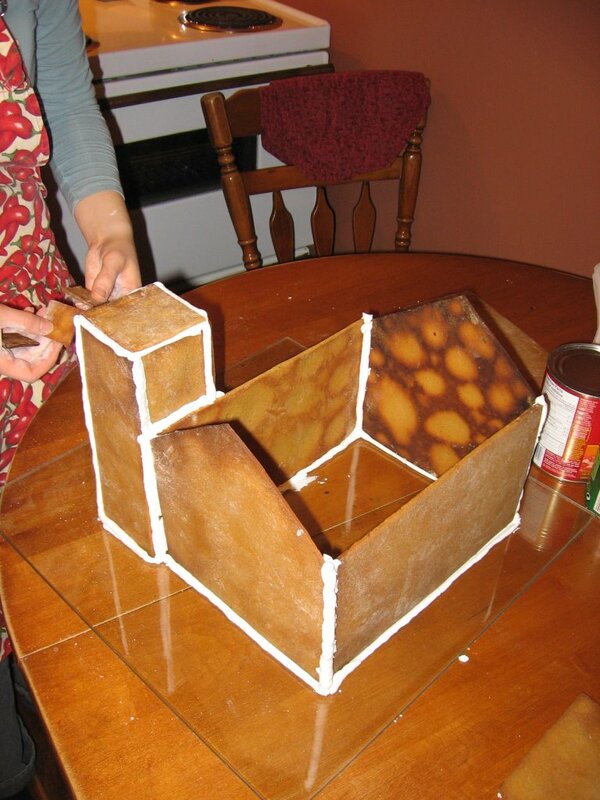 Quickly lift foil from baking sheet and place on a flat area for gingerbread pieces to cool. 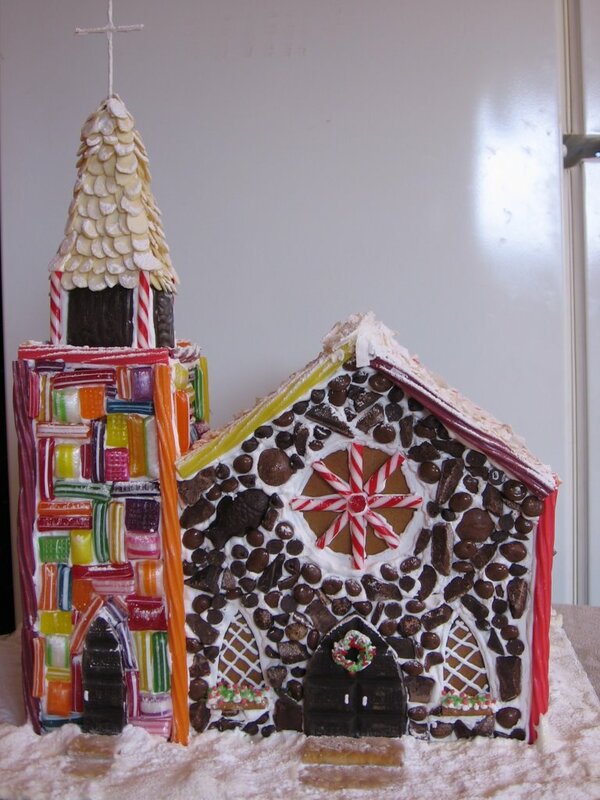 If pieces have distorted while baking, while still warm, run knife or pizza cutter along sides of walls/roof sections to create a straight edge. If pieces have curled up during baking, while still warm, gently push edges down to lay flat. 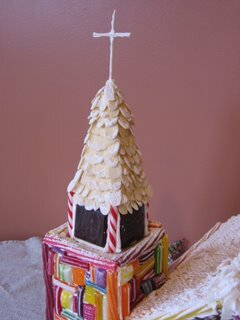 With gingerbread pieces still on the foil, let cool overnight. 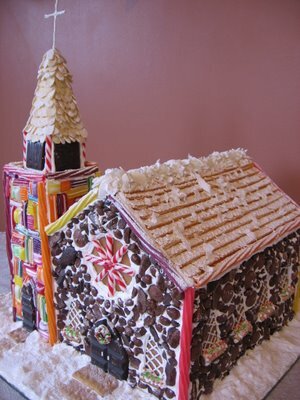 Next day – gently peel foil off of gingerbread pieces. You are now ready to assemble, or add windows! Thinking about doing some entertaining this holiday season? Your guests will toast to this idea of hosting a wine and cheese party. Can’t cook to save your life? If you’ve got a corkscrew and can shop, you can pull this event off. Our good friend, Dave, recently celebrated a significant birthday and since he is a cheese connoisseur and a wine lover, this was the perfect party for us to throw for him. I learned a few things along the way which I wanted to pass along, so grab a notebook and pen, pour yourself a glass of something lovely, and read through Under the High Chair’s first “Do It Yourself” segment. 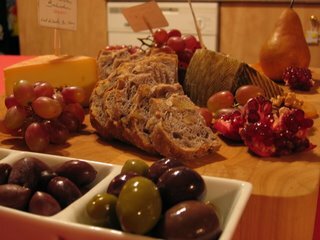 Assorted olives, walnut bread, grapes and pomegranate made excellent contrasting accompaniments to our cheeses. Guest list: Don’t try to bite off more than you can chew. Realistically estimate how many people your home can comfortably accommodate- then invite two couples more than that, because chances are, you’ll have at least that many who will cancel. Inventory: Do a quick count of wine glasses and small plates. No one wants to drink wine out of a plastic cup. Make sure you have enough glasses for each person to have a red and a white, as people will often switch at some point during the evening. Budget: Have an idea of how much you want to spend. 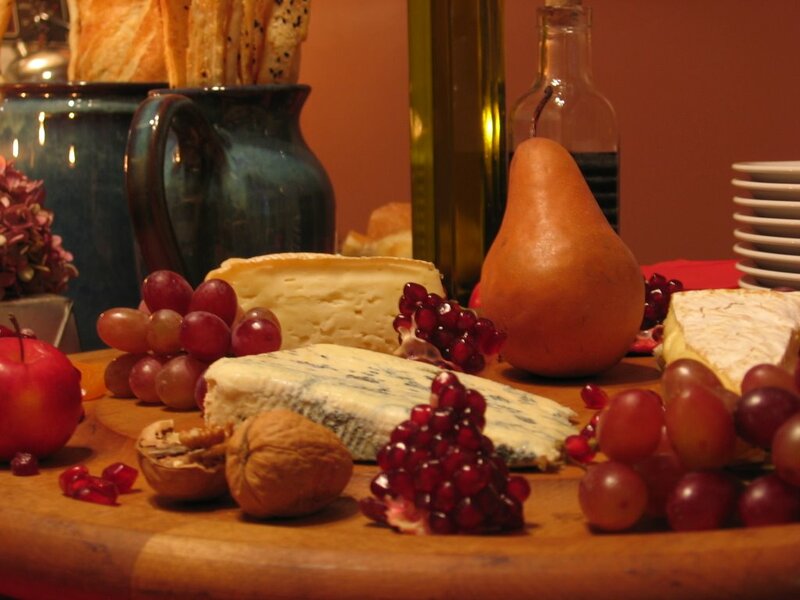 Cheese, like wine, varies vastly in price and if you don’t have a figure in mind when you visit your cheese store, you’ll spend a lot more than planned. One money-saving option is to ask your guest to each bring a bottle of wine. You may discover a new favorite wine and you might actually stay under budget this time. Clockwise from top: Clandestine, Brie de Meaux, and St-Agur blue made up our soft cheese tray. Apples, pears, grapes, walnuts and dried apricots accompanied them. L to R: Baluchon, Spanish Manchego, and extra old Gouda are pictured here with walnut bread. Wine: If you are buying your own wine and you have no clue what to get, ask the store employees for a favorable pairing with cheese. As a rule, white wines are friendlier with the cheese tray, but cabernet sauvignon also pairs well with older, stronger cheeses. Bread: If you don’t already have one, search out a great bakery for your breads. 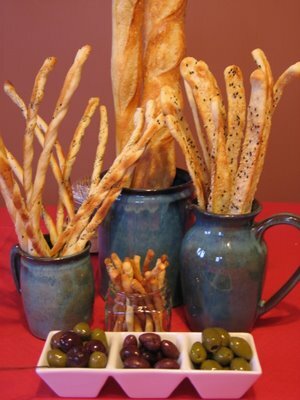 Buy the bread the day of the party and try for an assortment, such as a few classic baguettes, some grissini or breadsticks, and a nut bread to stand up to the stronger cheeses. 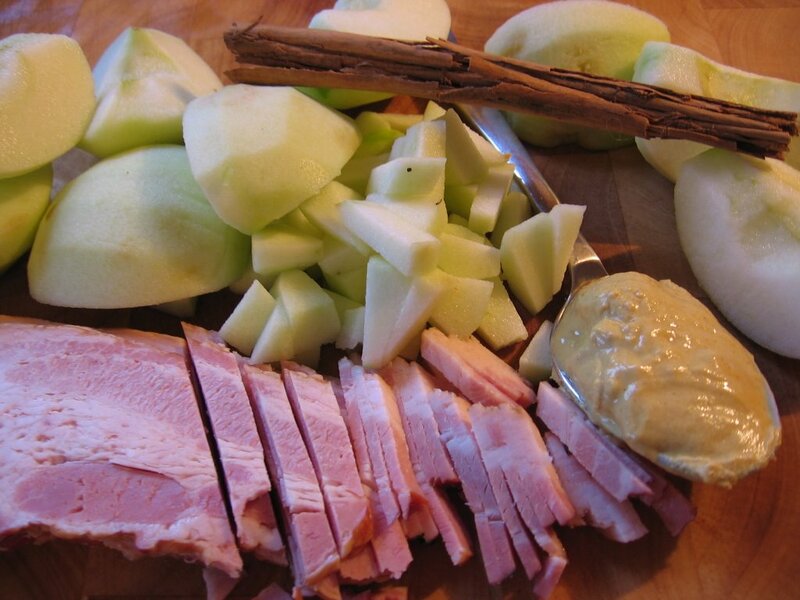 Accompaniments: Try a selection of any of the following: fresh fruit, cold meats such as mortadella or proscuitto, olives, pickles, marinated vegetables, nuts, dried fruit, oil and vinegar for dipping bread. A little something dolce (sweet) at the end is nice too, like an assortment of cookies. Dark chocolate goes well with some red wines, in case people are still sipping. 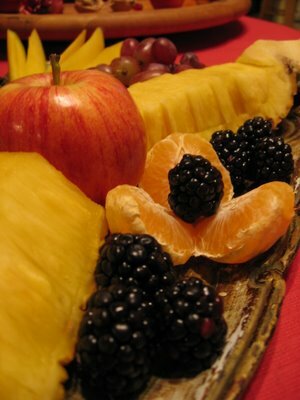 Juicy Pineapple, Blackberries, Clementines and Apples sweetened up the night. Cheese: Estimate about 150 grams per person, but don’t worry if you go over, leftovers are good too! 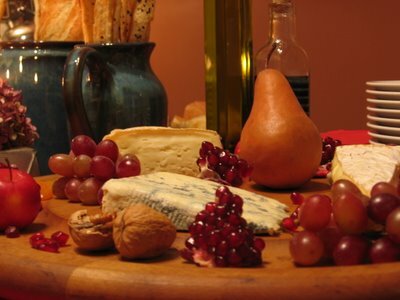 Try for a broad assortment including at least one chevre (goat), one blue, a cream like a Brie or Camembert, and a hard cheese like a Conte or Manchego. Ask your cheese shop about the cheeses you have selected so that you can correctly inform your guests about the cheeses they are enjoying. Drinks: Chill any white wine. Set up a self-serve bar area on you counter so guest can pour their own drinks. 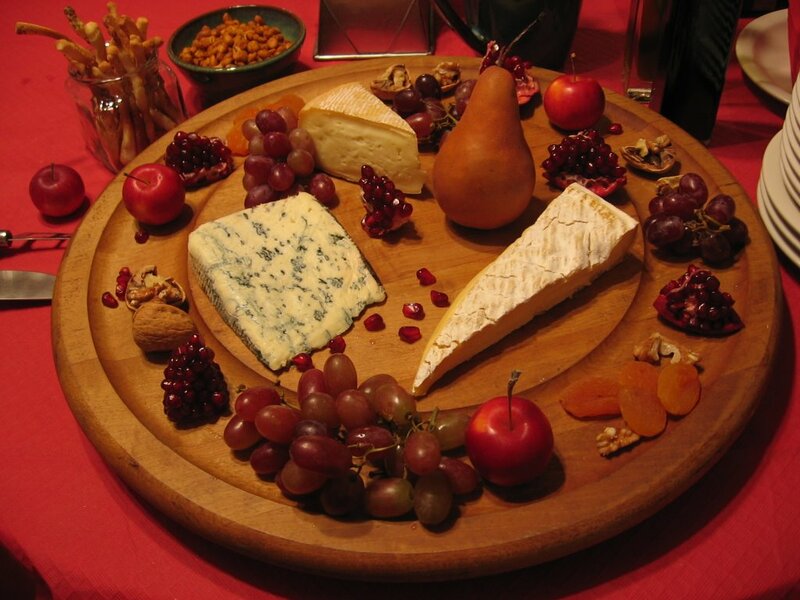 Food: Cheese platters can be assembled in advance and refrigerated. 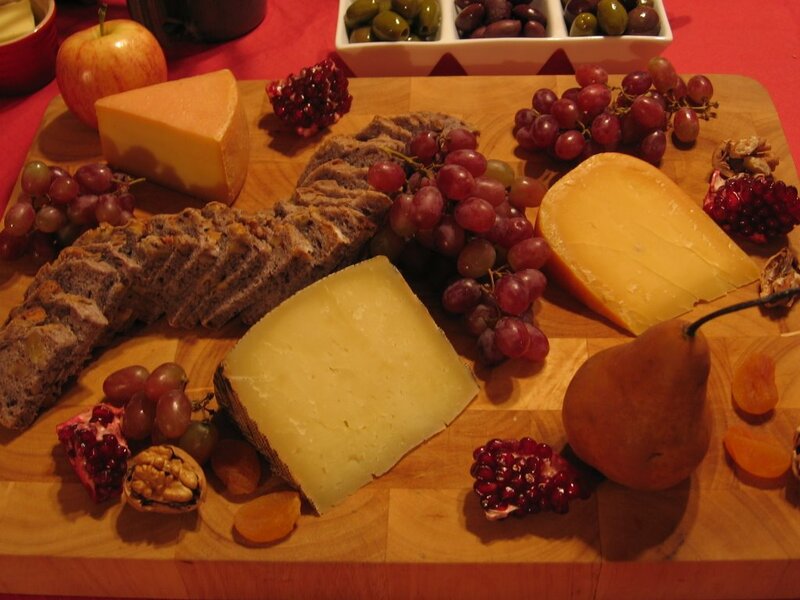 Don’t forget to remove from the fridge at least an hour before serving so cheeses can come up to room temperature. Slice bread just before serving. 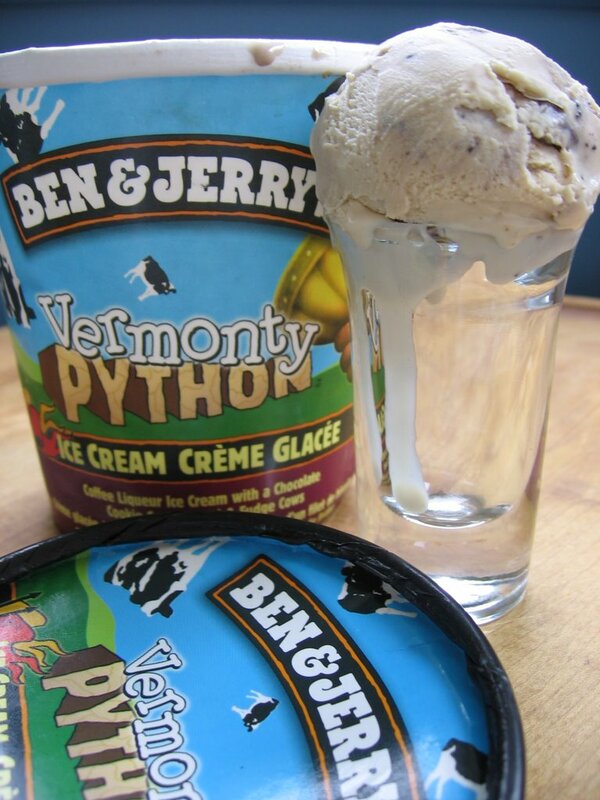 Ben and Jerry put out a new flavor this year called "Vermonty Python": Coffee Liqueur Ice Cream with a Chocolate Cookie Crumb Swirl and Fudge Cows. It's absolutly brilliant and has earned the title of Best New Ice Cream Flavor of 2006 in my books! I love coffee anything, but this leaves Hagen Daaz coffee and B&J's Coffee in the dust. If you haven't tried it yet, go buy some right now! If you live in Quebec, Metro grocery store are carrying it and it's even on sale!! 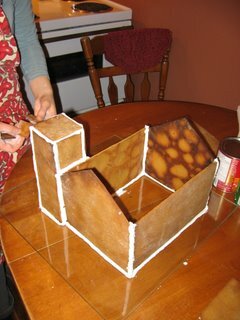 Construction is underway for the gingerbread house! We finally had our first snowfall and that spurred me into action. My right-hand girl, Miranda, was there to help me and we spent a relaxed afternoon listening to Christmas music and playing with candy. Snow fell all day long and we were pretty content as we chatted and got in touch with our creative sides. by her expert handiwork. I was happy to have her around to help with all the 'masonry'. As we worked and munched, each sugar high was higher and each crash was lower until we finally said “enough!” and left the rest for another day. Cutting out the pieces of gingerbread. Raising the walls. They are burnt on purpose to dry them out as much as possible so they don't soften and fold. And here we have the shell together and it's going to dry overnight. In case you can't tell, it's going to be a church. Stop by soon to see the finished product! It has been brought to my attention that today is National Cookie Day. I did a quick check on my own, and sure enough, our friendly neighbours to the south call today their 'cookie day'. How fun that I posted all about cookies today (see next post) and had no idea. But, humm, friendly Southeners, what is the deal with this 'National something Day' situation. Hasn't it gotten a little out of hand? National Stick A Plunger On Your Head Day? What about "Panic Day"? I think I'd call in sick to work. Now "Good Samaritan Day" I can see, but why 'National Pretzle Month"? They get a whole month??? I don't think they are that great. Not even chocolate dipped. And while I would support "National No Beard Day"100%, I am baffled by "Toot Your Flute Day". I'm not making any of these up. Check out the whole list for yourself here. I guess some of them could be useful, like "National Sleep-In Day". You may want to look that one up. Anyway, Happy National Cookie Day everyone, American or not. The doorbell rang cheerily a few times on Saturday and Danny, Noah and I welcomed friends and family in from the cold. Danny was especially welcoming, as each person came bearing big tins of cookies. 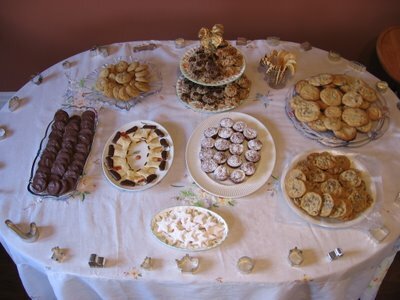 This was the first time I’ve hosted a cookie swap, and it won’t be the last! Even though we were few, due to a slew of last minute cancellations, a good time was had by all from the oldest to the youngest. The youngest being Noah, who tasted shortbread for the first time and now agrees that this should be an annual or semi-annual tradition. Pots of tea and copious cups of coffee were drunk and a well-laden plate of cookies consumed as we chatted and laughed and watched the kids play together. It was something more than just swapping some baked goods, but a cozy sense of fellowship and friendship: woman to woman, mother to mother. A big thanks to all the ladies that came and brought their delights! Terrie came bearing chocolate chip cookies so fresh, they didn’t have time to cool and were still on the baking sheet! Diana’s yummy chocolate mint snaps were a hit and their mysterious crunchy centers a topic of interest. Arlene was inspired by my invitation and baked her first batch of cookies in three years. Tavia’s hand rolled coconut caramel cookies were perfect and her colorful holiday oatmeal raisin cookies the ideal round-out to our table. I contributed my usual spice snaps, some two-bite brownies, and shortbread in various shapes and flavors. Needless to say, if you decide to drop by for tea in the next few weeks, I could probably rustle up a little crumb of something to serve alongside. 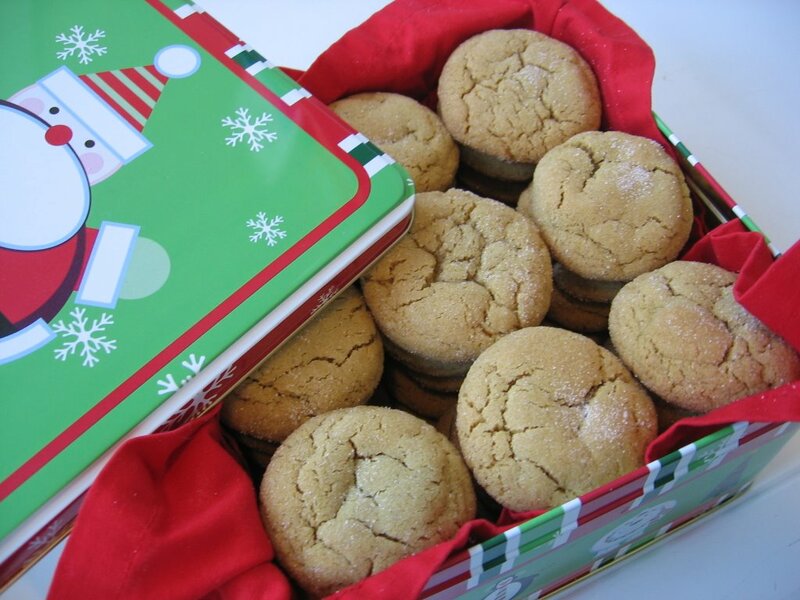 And now, here is my most requested cookie recipe!! Mix well and roll into 1 inch balls. Roll balls in white sugar to coat and place two inches apart on baking sheet. Bake 8-10 minutes until tops have cracked and edges start to brown. Cool. On a typical Saturday morning, Danny’s job is to get the paper, which he does, and then stands (all cute with his bed head) in the middle of the kitchen and reads the front page until I sit him down and hand him the baby’s spoon. My job is to change the baby, prepare his food, make coffee, set the table, make juice, cook bacon and eggs and toast, and then we sit down and enjoy a nice family breakfast. This works well for us. There’s a peace about the morning and we’re usually eating a relaxed breakfast within 10 minutes. 1. I know I’ll have to clean up. Cleaning up after I cook is no big deal because when I cook, I clean as I go, and after the meal there are just a few plates to rinse and the counter to wipe down. How Danny manages to mess the kitchen from stem to stern before 8 AM is beyond me. 3. I want peace and harmony to fill our sunny kitchen as we slowly wake up and enjoy our Saturday morning. I know there will be lots of questions and extraneous talking for the duration of his cooking; not in a pot-slamming, crude language kind of way like an average professional kitchen, but in a steady, long-winded narration to himself of what he is doing. That’s just his way. However, I agree to having breakfast cooked for me because I know that it’s not for Danny’s love of cooking that he asks me, but because he loves to serve and take care of me. And because that is so sweet, I shut up (and tell my rumbling stomach to shut up), fix Noah’s food and sit down with the paper to wait for my coffee. I eventually get my coveted cup of Joe, but not before the kettle’s been sounding it’s shrill whistle for a good 30 seconds before it's grabbed it and poured into the Bodum. Noah loves the whistle, Danny doesn’t seem to hear it, and I am the only one annoyed. Have I mentioned that I’m a tad grumpy before my morning coffee? My coffee arrives just the way I like it. I can’t complain, it actually tastes better than when I make it. Noah is happily playing and all I want is a few minutes of peace and quite to drink my coffee and do the daily Sodoku, but now, along with the food preparation comes the running commentary to no one in particular. It’s so much easier to do it myself, but I know half of the banter is tongue-in-cheek to get my goat, and don’t give him the satisfaction of a jump-up-grab-the-spatula reaction. If I am grumpy before I get my coffee, I’m grumpier still when I am hungry. I answer the important questions, bite back the rest, and focus on my Sudoku. A while later, my plate arrives. It’s beautiful. Bacon and two poached eggs on toast. OJ, too, but no knife and fork. I grab them myself. The eggs are still soft in the centre, just the way I like them. As I cut through the yolk with my fork, my mouth waters and I start to think to myself that this is pretty sweet and aren’t I lucky to have a sweet hubby to cook me brekky. Vinegar. Lots of it. It sends a violent shockwave over my morning palate. The egg tastes like it’s straight out of a pickle jar-only warm. It’s pretty bad. He notices my face spells out disaster and immediately his expression reflects mine. “About a quarter of a cup. Why? Is it bad?” He guesses the answer. Then reach for a pan and head to the fridge for eggs.